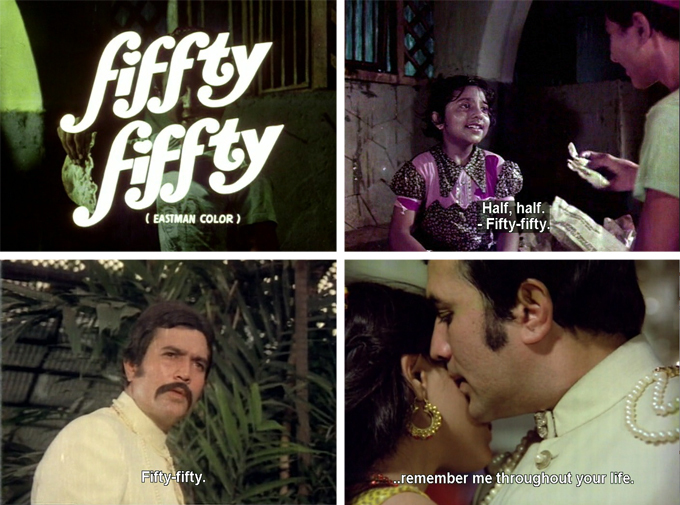 This is maybe not the post I should choose to write in memory of Rajesh Khanna, but it happened to already be under construction and he was so charming in the film…so why not? One shouldn’t defy kismat. I loved this lunatic movie. It cannot by any stretch be called either well-written or even wildly original, but it is solidly entertaining if you like this sort of thing (illogical melodrama) which I do. Infants are switched at birth for nefarious purposes and spirited away for good ones; one of the villains is a bitter hunchback; we have con artists conning each other, a mute illiterate downtrodden mother trying to communicate a terrible secret (and failing) for years and years and years, divine intervention at moments of sheer despair, and the Rainbow Splendor of Disco—a mishmash that makes this one hard to forget. 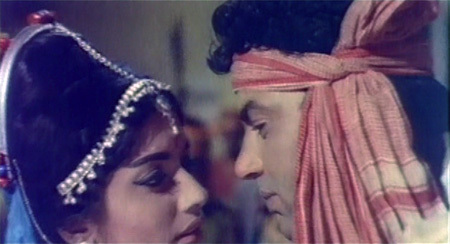 Laxmikant Pyarelal’s music is good fun, and I love the cast, too: even the completely age-inappropriate Rajesh Khanna-Tina Munim pairing works, maybe because Tina’s character is so worldly-wise that she doesn’t seem young. 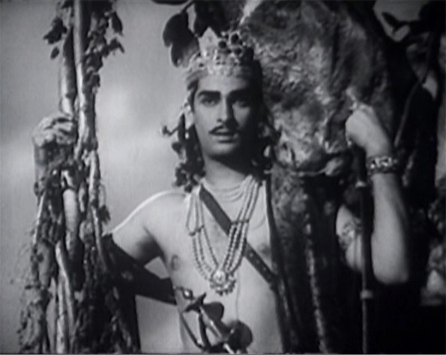 Plus Rajesh seems to be enjoying himself thoroughly, as he should, and is very handsome indeed. 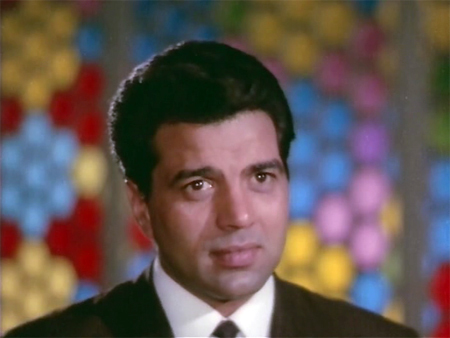 When I looked up Gulshan Nanda on imdb, I discovered that he was responsible for the stories and screenplays of some of my favorite films, including Jugnu, Jheel Ke Us Paar, Ajanabee, Joshila and Kati Patang. I always was a sucker for Harlequins (how embarrassing). Anyway, it seemed like a good reason to revisit this, so here we go!